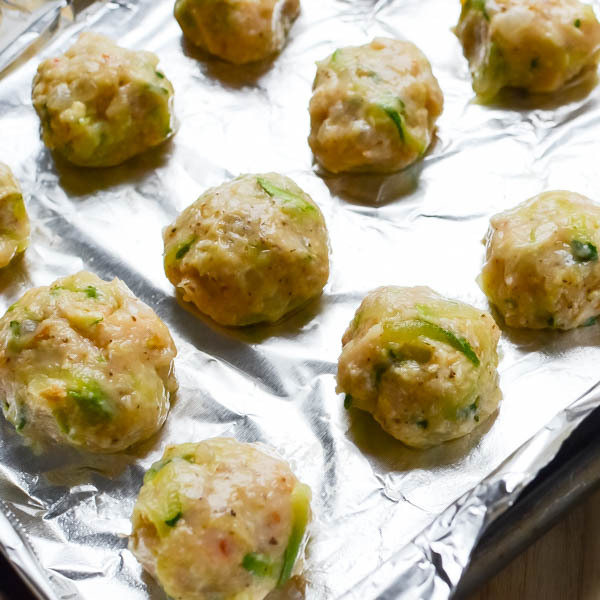 Kids love this healthy meatball recipe, made with ground chicken and hidden vegetables. These healthy saucy chicken meatballs are great over pasta, spaghetti squash or zoodles plus it’s an easy ground chicken recipe. Vegans and vegetarians aside, there has never been — in the history of the world — anyone – ever – to say, “no, thanks, I don’t like meatballs.” And it won’t start here. 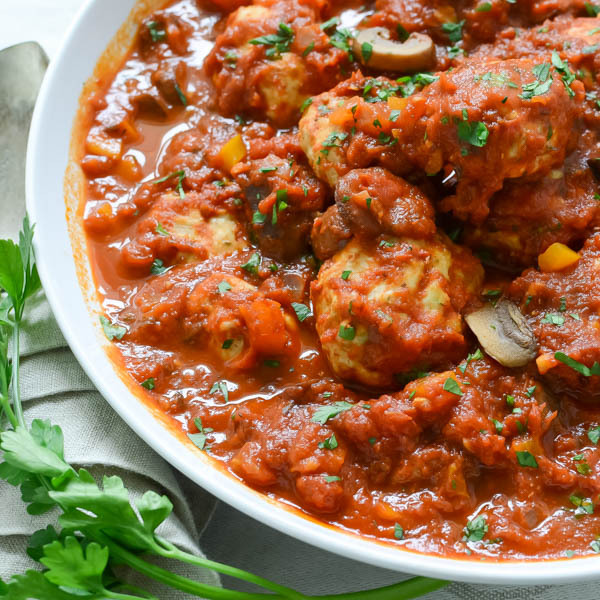 I know they’re “Healthy Saucy Chicken Meatballs” but don’t let that “healthy” moniker sway you on these tender, juicy, easy-to-make orbs. Yes, they’re healthier than the standard pork-veal-beef blends. That’s because I use ground chicken breast for these meatballs. 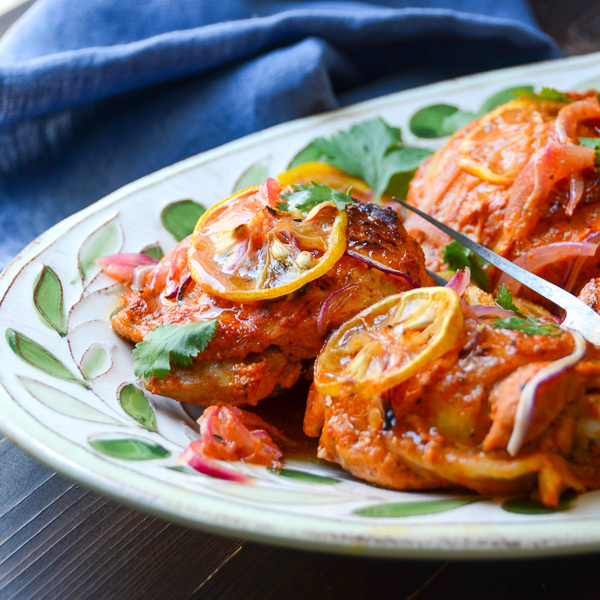 Since chicken breast can lean toward the dry-side, this recipe uses fresh vegetables to add moistness and a softer texture, but it’s also a great way to sneak in some veg to your kids’ diet if they happen to be vegetable averse. 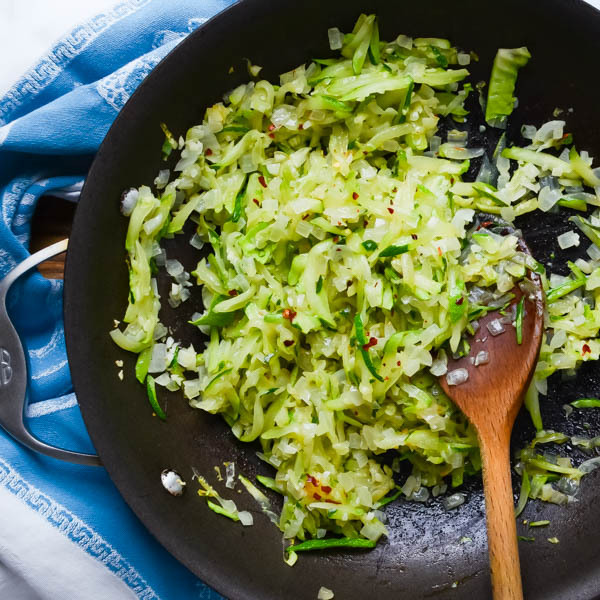 Shredded zucchini is my “veg-o-choice” augmented with onions, garlic and a pinch of red pepper flake for tingle. 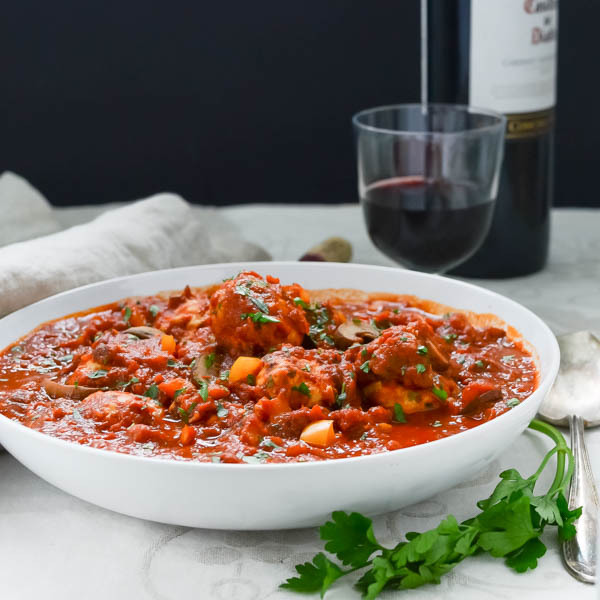 This blend makes a great binder for the meatballs. Fresh breadcrumbs (I used whole wheat), dried herbs and a whole egg round out the mix. 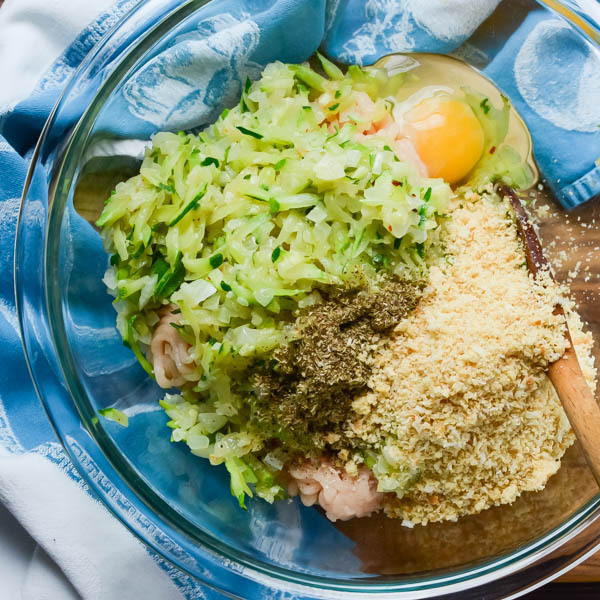 A wooden spoon or your clean hands are the best tools for mixing the ground chicken with the other ingredients and forming the chicken mince balls. 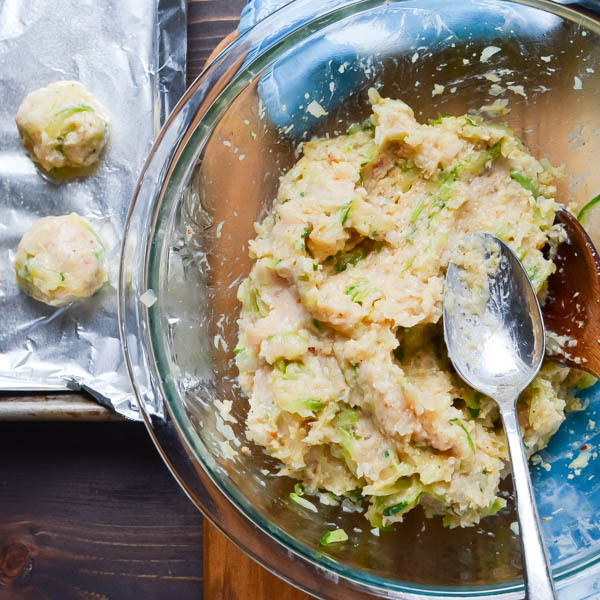 Use a tablespoon to measure out roughly equal portions of the healthy ground chicken mixture and roll them into balls. Keep a small bowl of water at your workstation and wet your hands before rolling the meatballs. This will prevent them from sticking and you’ll have an easier time forming them. Place the meatballs on a foil-lined baking sheet sprayed with vegetable spray, so they don’t stick. 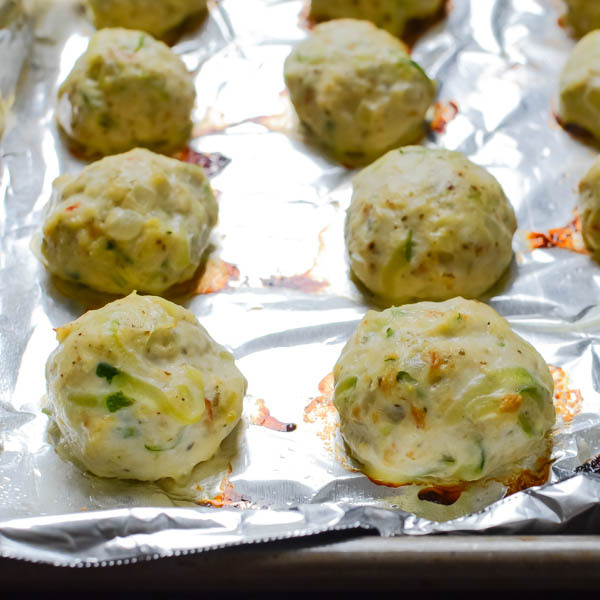 Bake the healthy chicken balls for 18 to 20 minutes or until firm. They Wouldn’t Be Healthy Saucy Chicken Meatballs Without The Marinara! While the meatballs are baking, prep the sauce. For this recipe, I like to doctor my homemade marinara, but you can use a jar of storebought marinara too. 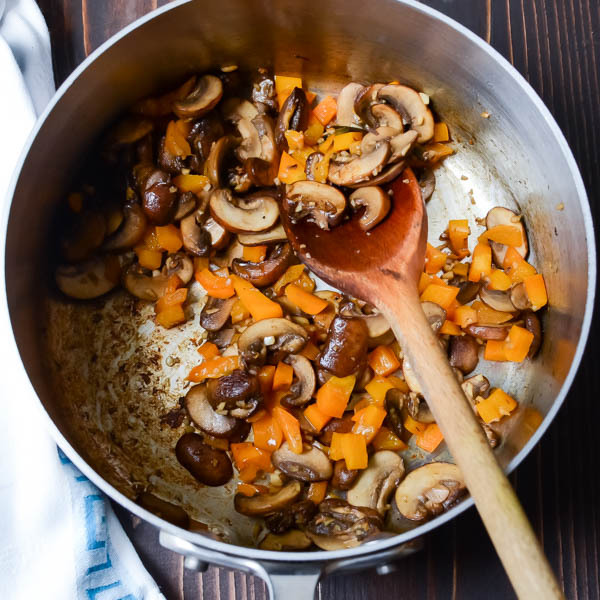 Saute the mushrooms until they give up their liquid and start to brown, then add the chopped bell pepper and cook until slightly softened. Add the marinara sauce and wine. Plop the cooked meatballs into the rich sauce and simmer with the lid of the pot slightly askew, stirring occasionally. That’s it! Easy-peasy! Of course, this is delicious over regular pasta, but you can also use the gluten free or protein rich versions if you prefer. Spaghetti squash is another option that’s low carb and gluten free and I’ve got instructions here on how to make that. 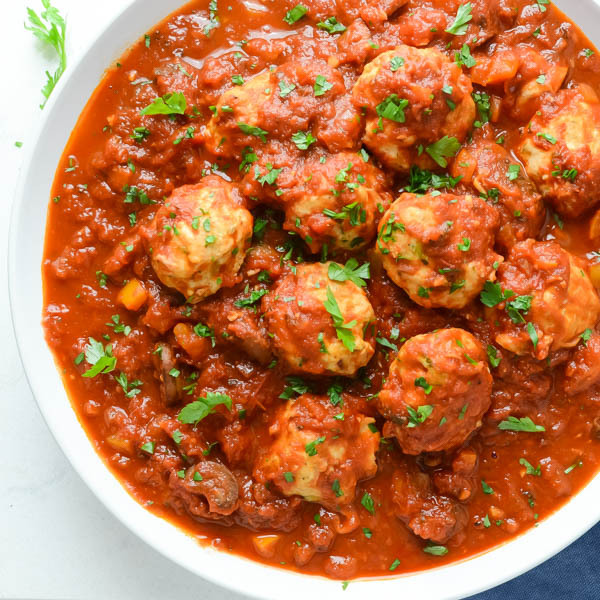 Whether your family is gaga for spaghetti with the best chicken meatballs or you’re just looking for an easy chicken meatball recipe this is a delicious way to get more vegetables and lean protein into their diets without sacrificing flavor! Make a healthier version of spaghetti and meatballs! 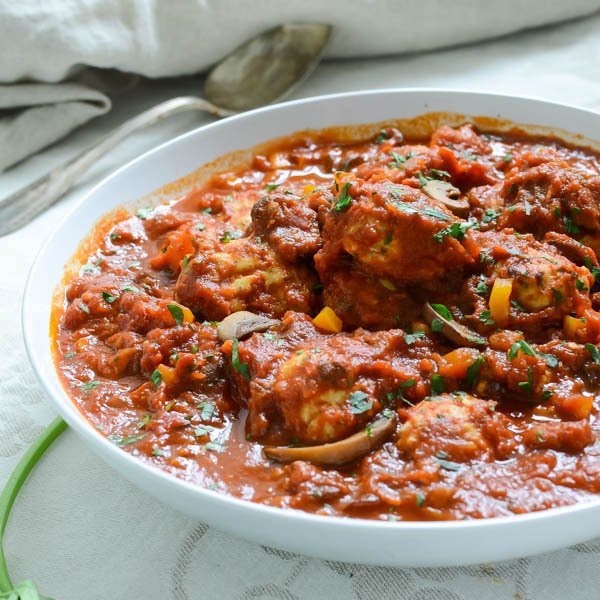 Chicken meatballs, loaded with sautéed vegetables to keep them moist and simmered in a chunky veggie rich sauce. 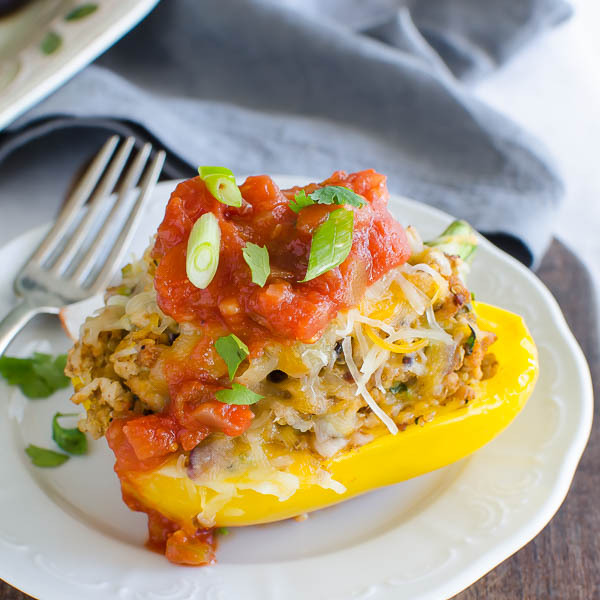 Go low-carb with spaghetti squash as a substitute for pasta for an uber healthy meal! Preheat the oven to 375°. Line a baking sheet with tin foil and coat with non-stick vegetable spray. Set aside. Place a medium saucepan over medium high heat. Add 1 tablespoon olive oil and onions. Saute, stirring occasionally, until onions soften and start to turn translucent, about 1-2 minutes. Add the zucchini, garlic and red pepper flakes and cook until the zucchini softens, another 1-2 minutes. Remove from heat and let cool. Place the ground chicken, breadcrumbs, egg, oregano, parmesan cheese, salt and pepper in a large bowl. 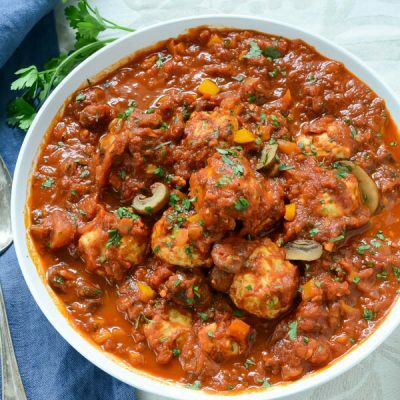 When the vegetable mixture has cooled to the point that you can handle it, transfer the veg to the chicken mixture and use your hands to gently combine the ingredients. Fill a small bowl with water. Dip your hands in the water (this will prevent the meat mixture from becoming too sticky when you're handling it - rewet your hands as needed.) and use a rounded tablespoon to measure out the meat. Roll the meat between your hands to form meatballs. set them on the baking sheet so they don't touch. Bake meatballs for 18-20 minutes or until firm to the touch. While meatballs are cooking, heat a large pot over medium high heat. Add the remaining tablespoon of olive oil and heat until hot. 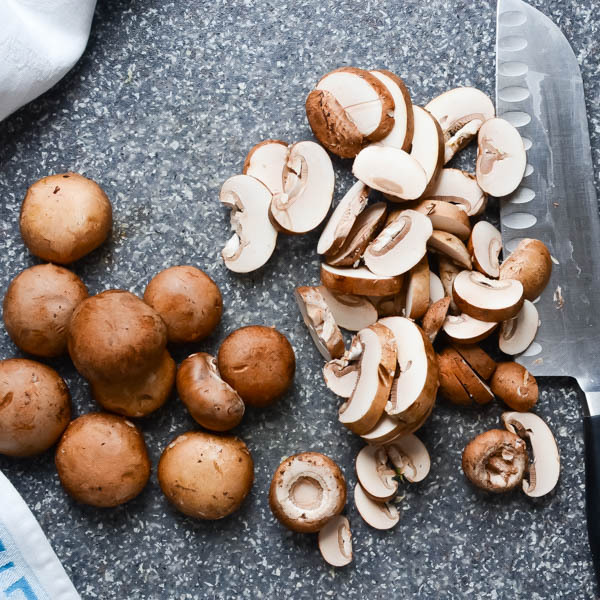 Add the mushrooms and pinch of salt. Saute until the mushrooms give off their liquid and start to brown. Stir in the bell pepper and cook until slightly softened. Remove from heat until the meatballs have finished cooking. 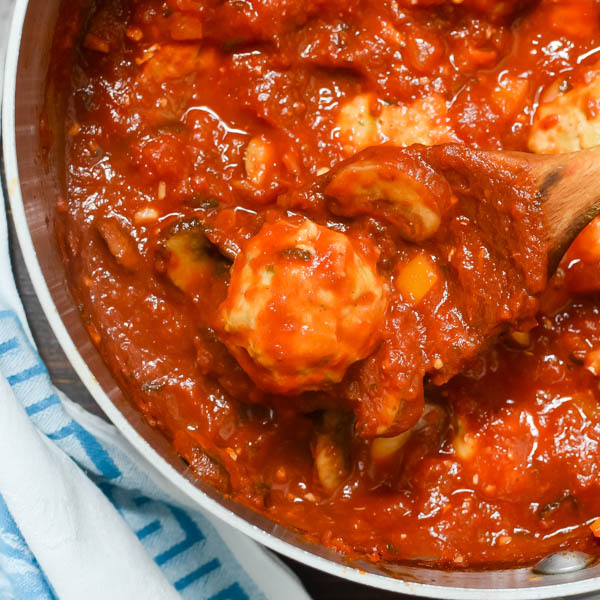 When the meatballs are done, add marinara sauce and wine to the vegetables and transfer the meatballs to the sauce. Simmer, covered on low heat for 15-20 minutes, stirring occasionally to prevent burning or sticking. 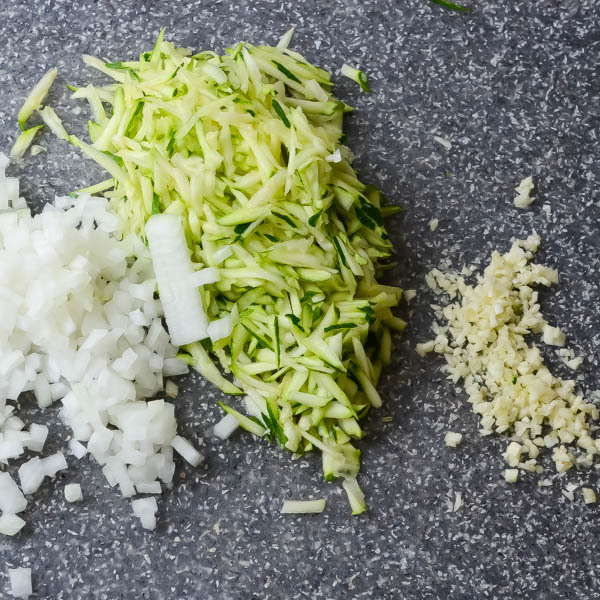 Serve over cooked spaghetti (or spaghetti squash for a low carb alternative) with a sprinkle of parmesan cheese. Delish! I used Gluten free breadcrumbs, was surprised no egg used? But did sub regular pasta for spaghetti squash. Also a healthier less sugar option, I used prego light smart sauce. Gimme all the meatballs! No really. That’d be great. These look delicious and I can never resist a great sauce! I don’t know anyone who does’t love meatballs and sauce! I love making meatballs, and these sound so tasty and healthy! Loving all of the ingredients, definitely want to make these! Ground chicken is under used…and I don’t know why. 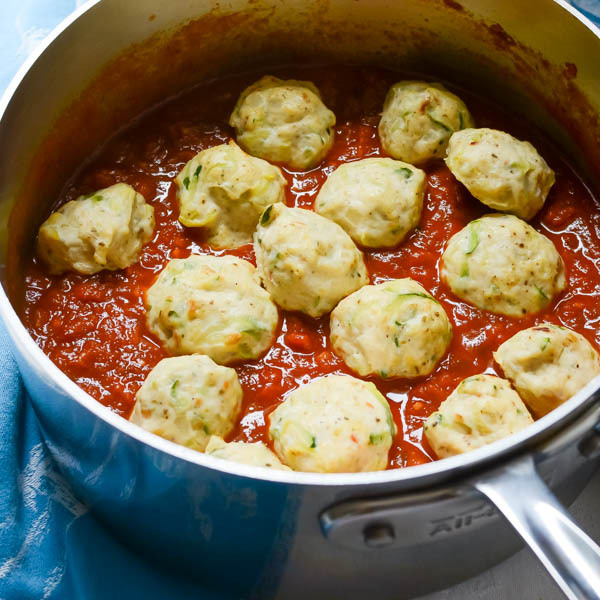 These meatballs look delicious, and so healthy too. 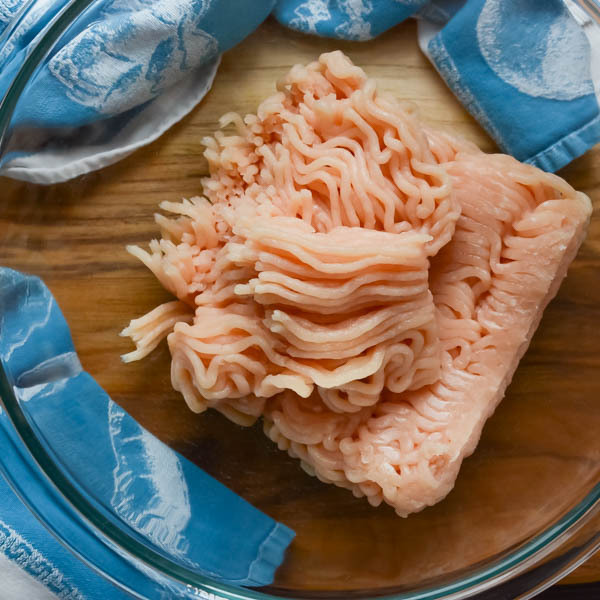 Perfect for pasta…or to stuff a sub. I would make a huge batch and freeze them too. 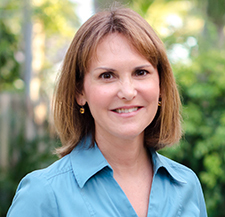 I like the way you think, Gloria! What a fab way of making comfort food more lean! Great recipe!